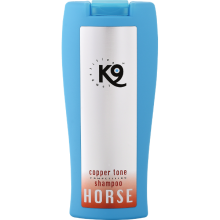 Copper Tone Aloe Vera Shampoo from K9 Competition gives the coat a natural shiny brown color after a few baths. Gives optimum moisture balance, healthy and well groomed hair. Has a soothing and nourishing effect on sensitive skin. 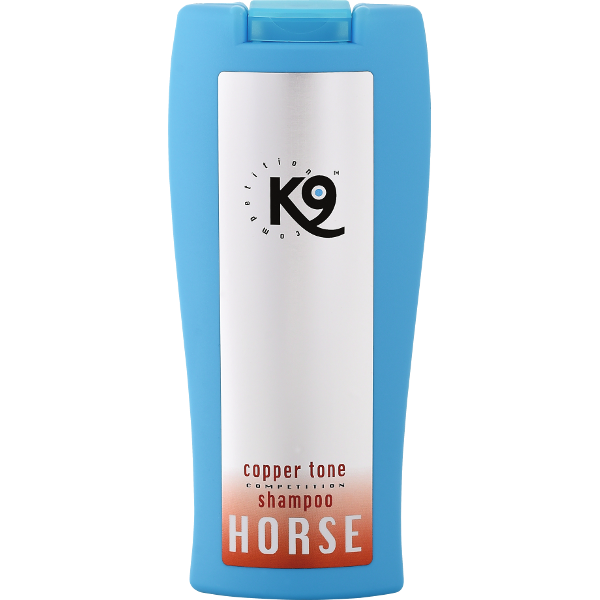 It’s economical in use and gives easy-to-groom coats with long lasting results – for show and everyday use! Content: Aqua, mg laurylsulfat, cocobetain, certified aloe vera, D-panthenol, wheat protein, fragrance, preservative, color pigment.